Construction and landscape material calculation made easy! 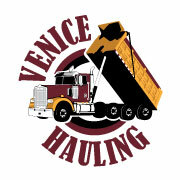 Venice Hauling likes to make things easy for our clients. Our handy material calculator lets you know just how much or how little you need for your project. Our materials calculator is perfect for most materials, from sand, clean fill, to road base. Whatever you need, let Venice Hauling make it easy for you! Give us a call today. Prefer Email? Send us one and we WILL get back with you.